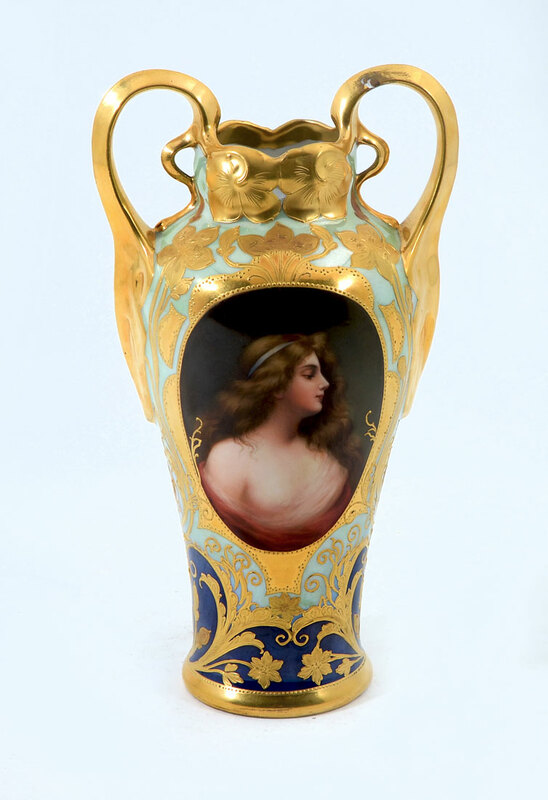 19TH CENTURY ROYAL VIENNA PORTRAIT VASE: 2 gilt handles, light green ground with gilt floral decoration. 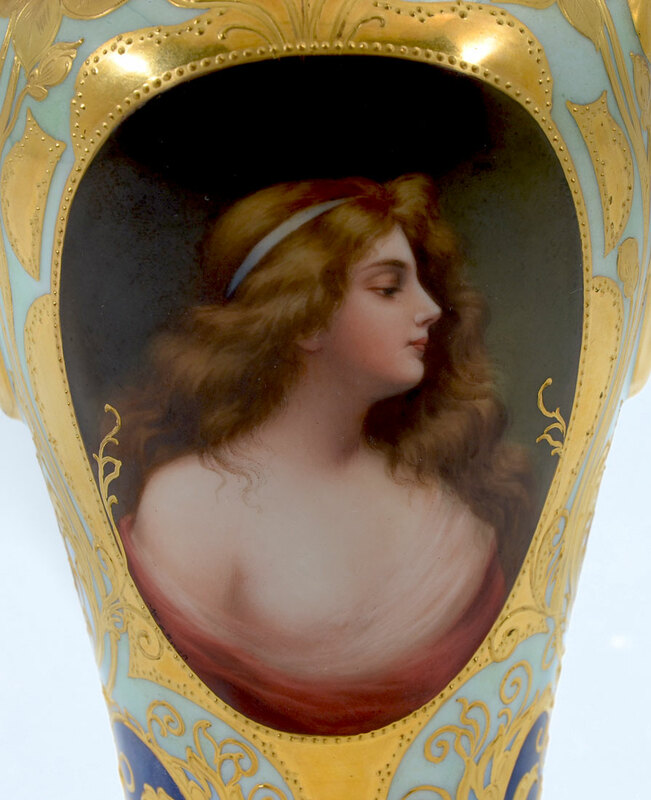 Hand painted center medallion with portrait of a young beauty, cobalt and light blue ground near base. 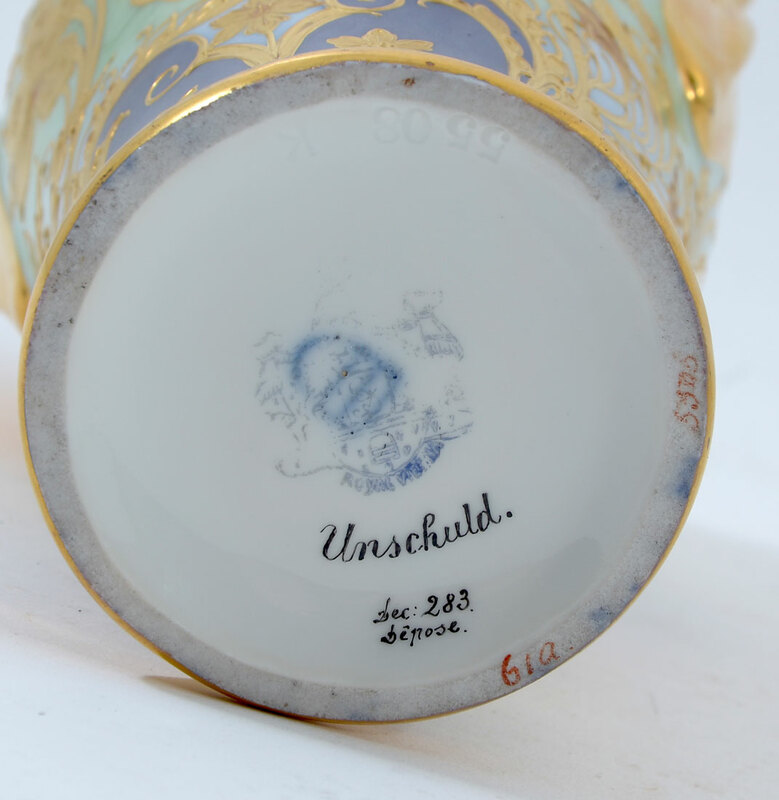 Blue beehive mark with over stamp, marked ''Unschuld, dec : 283, Depose'' and other marks. 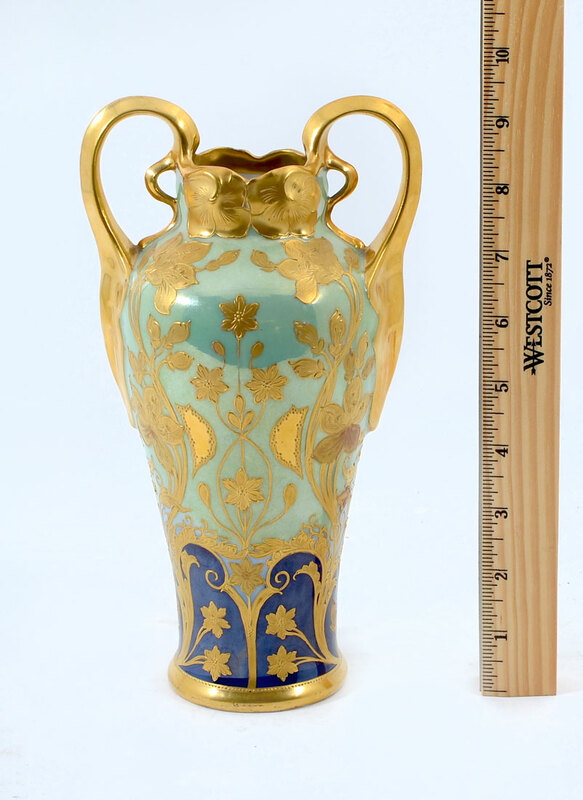 Impressed 5508 K. Measures 9 1/4'' h. x 5 1/4''. CONDITION: Small chip repair on one handle.